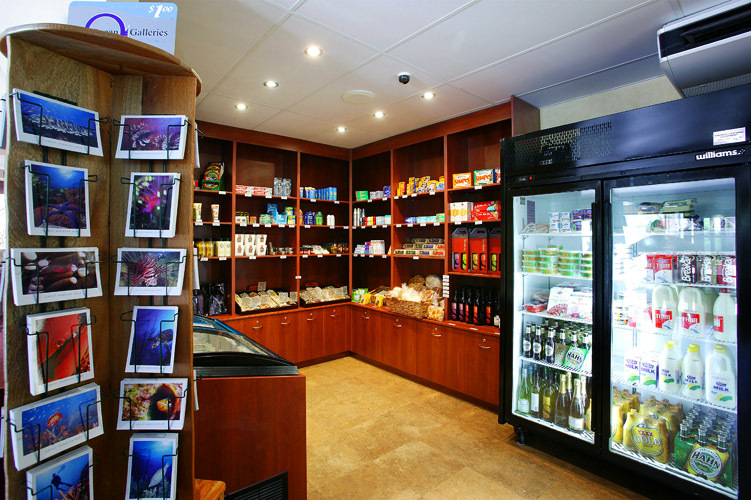 Also available for purchase from the resort store is takeaway wines and beer. We are certain this facility will help make your stay more comfortable and enjoyable. Of course, you can also dine at our Bistro if you need that extra level of comfort. For those who are staying longer and would like to go shopping at a local supermarket, there is one located 10 minutes walk from the resort and there are two major shopping centres within a few minutes drive of the resort. Please ask at reception for further details and directions.